THE ANP government in NWFP last week cut a deal with religious leader Sufi Mohammad promising to enforce ‘Nizame Adl’ (Islamic justice system) in Malakand division that includes the troubled but scenic Swat Valley often likened to Switzerland. It initially managed a ten-day truce from the Taliban, who control 70 per cent of the area. On Saturday Sufi persuaded them to extend it for an indefinite period, hailed by the government as a “permanent” ceasefire. The weary populace of Swat rejoiced at the prospect of peace and return to normal life, no matter at what cost, after months ofblood-letting and utter anarchy. But the deal caused world-wide concern and baffled both critics and supporters about its scope and implications. Even the United States appeared confused in reaction that ranged from outrage expressed by the envoy for the region, Richard Holbrooke, who termed it as a “surrender” and a contrasting comment by defence secretary Gates, who said it could be emulated for a similar arrangement with Taliban in Afghanistan. But others in the US administration, the NATO and the Western media were worried that Taliban have been given a breathing space to regroup and refocus attention to help Taliban inside Afghanistan, make Swat haven for foreign terrorists and further consolidate hold on the local population. India feared religious militancy in Pakistan would increase with possible a Hindu backlash against India’s Muslim minority, or even the latter’s radicalization. It further weakens a Pakistani civilian government not fully in control of its own territory and increases the risk that Pakistan will serve as a staging ground for terrorist attacks such as occurred in Mumbai in late November. At home liberal lobbies dubbed it as “abject capitulation” to extremists that would embolden them to move beyond Swat and impose their brand of Islamic justice to other parts of the country. But most political parties hailed the peace accord as a reprieve, albeit tenuous, from the daily violence in Swat and total collapse of state institutions. 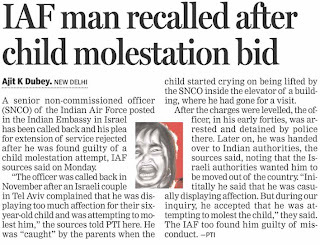 The deal was ostensibly struck with a tacit backing from the army and marked its implicit admission of defeat in the 18-month old operation. Most of its 12,000 troops deployed in Swat to quell insurgency were largely unwilling to fight and kill their own people. It relied more on gunship and artillery shelling than engaging the rebels in a real battle. The collateral damage caused deaths of nearly 1,000 innocent civilians that, in turn, fuelled anti-government sentiments and swelled the Taliban ranks with more suicide bombers. Under the militants’ control that covers entire countryside of Swat, girls’ schools were closed, women banned from shopping, music shops burned and public floggings and executions were carried out. The government responded with conflicting explanations. The Elements of the religious judicial system, called Nizam-e-Adl, have been in place in the region since 1994. It will now be implemented vigorously replacing the creaky colonial-era legal system under which cases drag on for years, sometimes decades, a major source of anger for ordinary people. The agreement only codifies the harsh reality on the ground in Swat, where Taliban rebel Maulana Fazlullah’s jackboots murder dancers, musicians, CD shop owners and others who disgrac his warped view of Islam. The ANP leadership that rules the province contended that they were left with no other option because the Swat Taliban under the command of Maulana Fazlullah (33) had fought the army to a standstill. In fact, the Taliban, far from being defeated, were in the ascendant, their grip on Swat tighter than before the army operation began in the autumn of 2007. The alternative was more chaos and a perpetual paralysis of state institutions in the area. Under the new regulations, criminal cases would be disposed of within four months and civil cases in six months. The appeal stage would quickly culminate within the region instead of the high court in Peshawar and the Supreme Court in Islamabad. Religious experts, known as qazi, will sit in the court, alongside a regular judge, to ensure that the rulings are in compliance with Islam. In Islamabad, the Foreign Office termed the Western reaction as speculative. “Understanding regarding Nizam-e-Adl (Justice System) is sequentially linked to the restoration of peace and tranquility,” the FO spokesman said. Prime Minister Yousuf Gilani said that this was part of the government’s three-pronged strategy, namely dialogue, deterrence and development and fully conformed to the dictates of the Constitution that forbids continuation of laws repugnant to Quran. But President Asif Zardari, whose approval is needed before the new law become effective, was rather ambivalent. ANP chief Asfandyar Wali claimed the President was on board and would giving his assent failing which his party would quit the government. But Holbrooke, who talked to the President on the telephone, said Mr. Zardari has assured him it was an interim deal aimed at stabilising the troubled Swat region. “He does not disagree that people who are running Swat now are murderers, thugs and militants and they pose a danger not only to Pakistan but to the US as well,” Mr Holbrooke said. The timing of the agreement was emblematic of the mess engulfing Pakistan in every facet of national life — politics, economy, internal and external security. Its army is stuck in combating insurgency in tribal areas, Swat and Balochistan. It came barely a day after Holbrooke concluded intense consultations in Islamabad ahead of a strategic review of the war on terror in the region called by President Obama. Pakistan’s foreign minister and army chief left for Washington on Sunday for this purpose where they would also be joined by an Afghan team in the wake of US President’s orders to dispatch an additional 17,000 troops to Afghanistan. The review would include military, economic, political, diplomatic and informational approaches. The deal has achieved some instant results within the first week that inspire hope it may endure. The curfew-stricken Swat has been transformed to active life in the area. Militants have accepted a cease-fire while military bombing raids have been suspended; the curfew in cities has been lifted, an interminable string of violent events have halted and fears of suicide attacks receded substantially; bazaars have reopened, traffic on roads has been restored, labour is getting jobs and displaced families have begun returning to their homes. Notwithstanding scepticism that it may well be temporary relief, it is a huge break from the nightmarish life that the populace has spent over past nearly two years. Amid an upbeat mood, ministers and MPs who had fled from the area have also returned while more optimists are even talking of Swat being able to again receive tourists this summer. More than 70 US military advisers, mostly special forces personnel, are secretly working in Pakistan to help its armed forces battle Al-Qaida and the Taliban in the country's lawless tribal areas. The Americans are mostly Army Special Forces soldiers who are training Pakistani Army and paramilitary troops, providing them with intelligence and advising on combat tactics, military officials told the New York Times. But they do not conduct combat operations, the officials added. They, the paper said, make up a secret task force, overseen by the United States Central Command and Special Operations Command. It started last summer, with the support of Pakistan's government and military, in an effort to root out Al-Qaida and Taliban operations that threaten American troops in Afghanistan and are increasingly destabilising Pakistan, the Times said. It is a much larger and more ambitious effort than either country has acknowledged. Pakistani officials, the paper noted, have vigorously protested American missile strikes in the tribal areas as a violation of sovereignty and have resisted efforts by Washington to put more troops on Pakistani soil. Pakistani army chief General Ashfaq Parvez Kayani has arrived in Washington to discuss the proposed comprehensive review of the American policy for Pakistan and Afghanistan. This is Kayani's first visit to the US after becoming army chief in November 2007. During his week-long tour beginning Monday, Kayani will have series of meetings with his US counterpart and top officials of Obama administration, on issues which would dominate around the fight against Taliban terrorists in Pakistan's restive tribal areas bordering Afghanistan. General Kayani is expected to call on Admiral Mike Mullen, Chairman of the Joint Chief of Staff; Gen David Petraeus, Commander of the US Central Command, besides meeting the Secretary of Defence Robert Gates. Tamil Tigers said on Monday that they were ready for a ceasefire with the Sri Lankan government, but refused to lay down their arms. 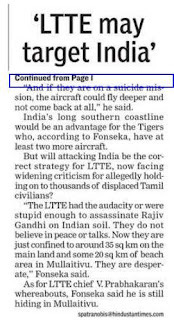 With the LTTE cornered in a fast shrinking small landmass in the north eastern coast of the country, the rebels' appeal for a truce came in a letter to the United Nations and other foreign powers. LTTE Political chief B Nadesan, in a letter to the United Nations, said that international calls for rebels to lay down their arms could not resolved the armed conflict as "weapons were the only protective shield of the Tamil people." "Arms are also our tool for political liberation," Nadesan told the United Nations in the letter copies of which were also sent to the United States, European Union, UK and Japan and one time peace-broker on the island Norway. "We are ready to discuss cooperate and work together in all their efforts to bring an immediate ceasefire and work towards a political settlement," he said. But the Sri Lankan government immediately rejected the cease fire offer by the Tigers. 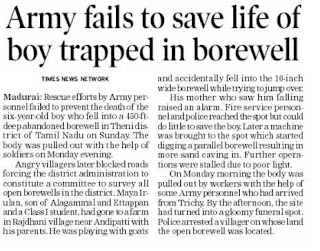 An official spokesman, Keheliya Rambukwella, told reporters it would accept nothing short of a unconditional ceasefire. India and Pakistan aren’t always bickering, including over Kashmir, the dispute that has defined their relationship over more than six decades. Away from the public eye, top and trusted envoys from the two countries have at various times sat down and wrestled with the problem, going beyond stated positions in the public and even teasing out the contours of a deal. In the end of course, someone’s nerve failed, or something else happened and the deal was off. Beginning 2004 and up until November 2007 India and Pakistan were embarked on a similar course and very nearly came to an agreement on Kashmir, says investigative journalist Steve Coll in an article for the New Yorker. Special envoys from the two countries met in secret in hotels in London, Bangkok and London to lay out a solution and after three years they were ready with the broad outline of a settlement that would have de-militarised Kashmir. An abstract of the article is here and the Washington Post has a story on it. Under the plan, the Kashmir conflict would have been resolved through the creation of an autonomous region in which local residents could move freely and conduct trade on both sides of the territorial boundary. Over time, the border would become irrelevant, and declining violence would allow a gradual withdrawal of tens of thousands of troops that now face one another across the region’s mountain passes, Coll writes. But by then, then President Pervez Musharraf was so engulfed in political problems that he couldn’t sell himself, let alone a landmark deal on Kashmir . Musharraf fought for the agreement but he had slipped into a political death spiral and resigned in August 2008, the deal still-born. As I said before it wasn’t the first time India and Pakistan took the high road to peace and then faltered. Musharraf wrote in his book In the Line of Fire that he and then Indian prime minister Atal Behari Vajpayee came close to an agreement on how to tackle Kashmir in a 2001 summit in Agra but “mysterious higher powers” had overruled and “humiliated” Vajpayee. Going further back, the two sides are also known to have reached an agreement over the Siachen glacier, only to step back at the last minute. But you have to wonder now after the Mumbai attacks of November 2008 if there is any room for this kind of diplomacy. The mood has soured and it would take a considerable amount of courage for anyone to step up to peacemaking in secret. Or perhaps that is all the more reason they must once again throw themselves into the challenge?